This is one for all you Disney fans. Styled in sterling silver and detailed with purple and teal enamel, this Ariel charm - based on the iconic Disney classic The Little Mermaid - is the perfect addition to any collectors Chamilia charm bracelet. 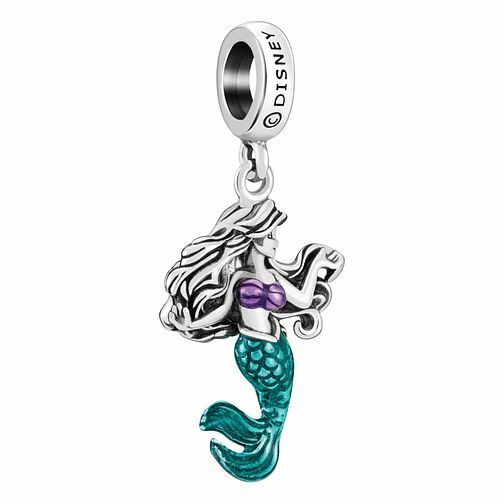 Chamilia Disney The Little Mermaid Ariel Charm with Enamel is rated 5.0 out of 5 by 8. Rated 5 out of 5 by Anonymous from Product great value. Excellecent quality Lady in hsamuels in surrey quays branch. Very friendly and engaging with us in conversation, on a personal level where it didnt feel falsed. Also very happy with product itself.